You may wish to contact any or all of the people below if you feel you or your family are affected/subjected to smoke of any kind. Please keep a copy of all correspondence, it may be of interest to share with others. Will not lobby for asthmatics when it comes to deliberate large scale smoke in this state. They prefer to support putting people on medication instead. See the asthma page. It is therfore suggested that people raise their concerns with the national bodies to enlighten them as to what is happening in Tasmania. Armidale Air Quality Group - Concerned about increasing air pollution from domestic woodheaters. The Forest Stewardship Council (FSC) promotes responsible management of the world’s forests. Malcolm Tattersall Forestry - A photographic souvenir. 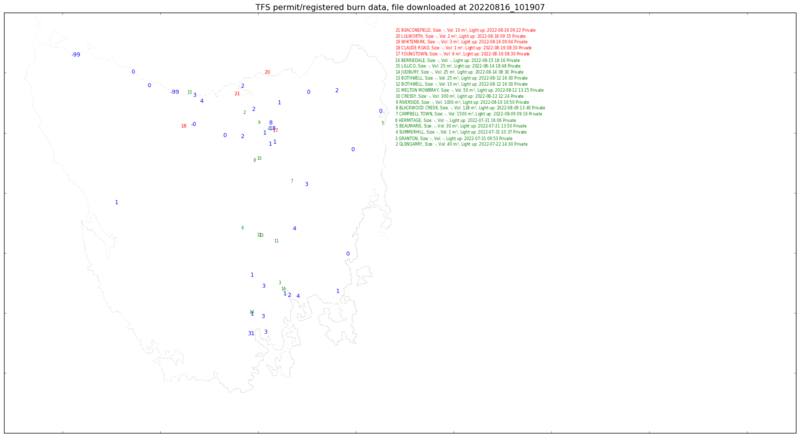 Forest Practices Authority (FPA) Regulates forestry in Tasmania....but not the smoke. Tas Fire Service (TFS)- Smoke and Asthma. It is all words. Deliberate smoke can kill. Freedom of Information/ Right to Information documents released.by Forestry Tasmania. Environmental Defenders Office - Environmental law centres. Smoke Monitoring Methods Review 2008 Accepted by the EPA. http://www.epa.tas.gov.au/file.aspx?id=926. Hansard 1.12.2010 Forestry Tasmania - Business Enterprise. Weather forecasts and history, and Satellite Images. BoM - Latest weather observations for the last 72 hours. BoM - Many months of history from monitoring stations around Australia. BoM - High definition images from the Japanese Himawari-8 satellite. Live winds - anywhere in the world. Click, drag, scroll. Medical Malpractice is the 3rd leading cause of death in the US. This site could interest you no matter where you live. Get the facts here. Smokefree Tasmania - a health advocacy organisation, and the goal is to advance the endgame for tobacco. If you happen to know of an air quality link that could be suitable to add to this page please advise. However, please note: cleanairtas.com receives a huge number of requests to add a link to this add-free site. Therefore if a reciprocal link to cleanairtas.com is not provided by your webmaster then sorry I cannot help you. 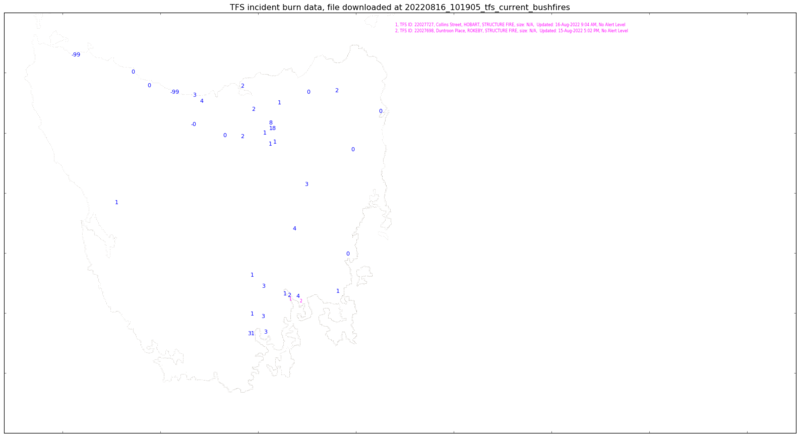 Tas Fire Service - Incidents map. Install Google Earth, go here, click on Incidences -State Wide and select Current Permits under heading Tas Fire Service. MeTEye - Part of the next generation Forecast & Warning System. Lightning Data. Historical and real time. NASA Worldview satellite images - Easy to use. Add your satellite. Select your date and time. Look up the Air Quality Index anywhere in the world but see here why raw data readings are best! Provides public education about the medical hazards of exposure to wood smoke and other fine particulate pollution. Burning Issues is the Clean Air Revival forum. My Health Beijing - Air pollution is the #1 topic on this website. Prescribed Burns in Arizona This smoke could be killing your children and your grandparents. Citizens for Environmental Health Canada. Commit to being forerunners of change. Lost our rights to an outside wood burner (OWB). A Consumers Guide to the Clean Air Act. The Clean Air Act is working towards a safe and healthier life for everyone. Photograpers in our state, Tasmania. Reactive Airways Dysfunction Syndrome generally happens after a ONE TIME exposure to a concentrated chemical, fumes, smoke, etc. The damage to your airways and lungs can be done in seconds! Go here and here . The reason this cancer targets so many veterans is because of the prevalence of asbestos use in the military in the past. This website offers free veteran specific resources and support. DHHS Tasmania - Air quality alerts. 1 hour average. Asthma Foundation Tas. alerts & 30 day average. Tuck is a community devoted to improving sleep hygiene, health and wellness through the creation and dissemination of comprehensive, unbiased, free web-based resources. Click on the logo.